The 3D virtual headset will debut to a whole new audience. Ever since its successful funding on Kickstarter, the Oculus Rift 3D virtual headset has seen some real progress, especially when it comes to PC games like Hawken, Mirror's Edge and Doom 3 BFG Edition. Now it looks like the device is in the works for a whole new audience - mobile. Yesterday, at the GamesBeat 2013 video game conference keynote, Oculus VR's chief executive officer Brendan Iribe announced that an Android-powered version of the headset is in the works for Android mobile devices. Oculus' plan is to release the Android version of the headset, which will contain the same quality components as the original one, "as close as possible to" the original device, though it will be smaller in size. There's no word on pricing or release date yet, but it's expected sometime in 2014. Unfortunately, it doesn't look like iOS users will take part in this plan, as a version isn't currently in the works for them. 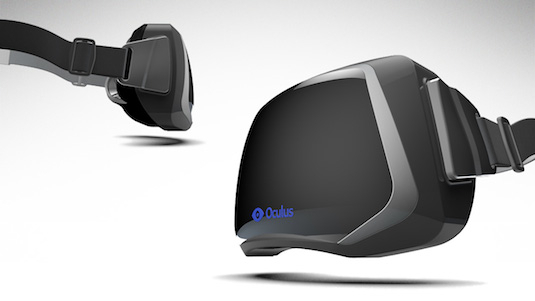 Read more about the Oculus Rift here.